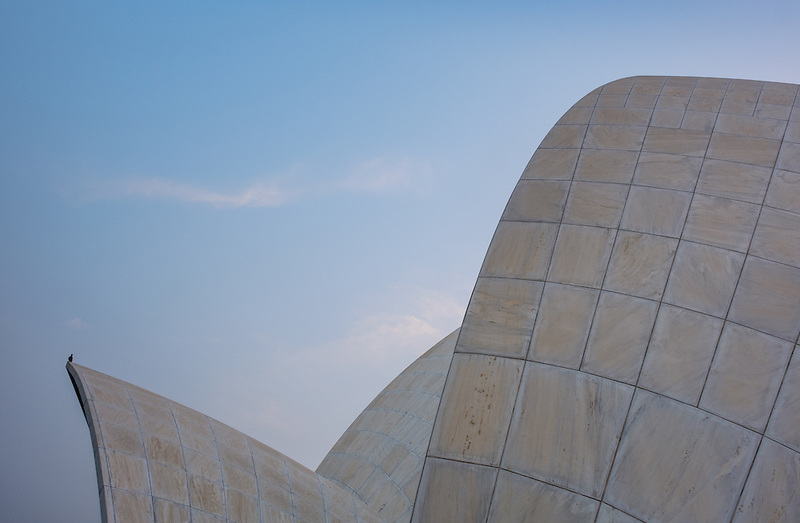 NEW DELHI, INDIA - CIRCA OCTOBER 2016: Architectural detail of the The Lotus Temple in Delhi, also known as the Bahai House of Worship. This is a popular tourist attraction in Delhi. The building is composed of 27 free-standing marble-clad "petals" arranged in clusters of three to form nine sides, with nine doors opening.